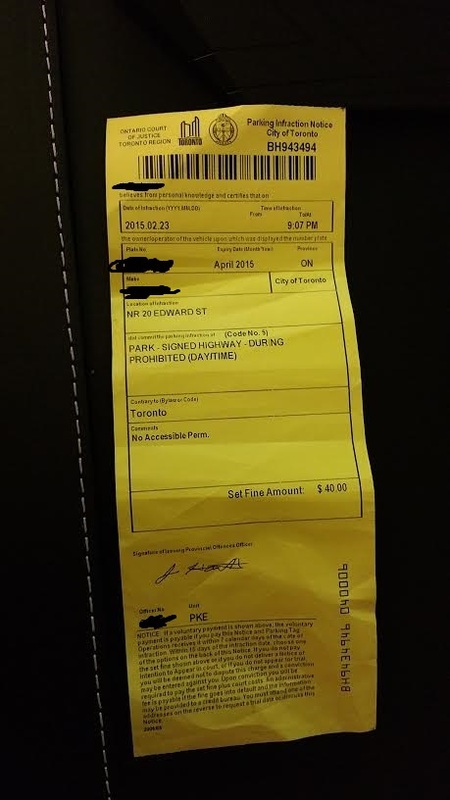 Parking ticket for no reason? I hope you can assist me with this as I am a bit distressed. I obey the law and parking signs and have never had an issue like this. I never deliberately park illegal. I got a violation notice for : Park - Signed Highway - During Prohibited (Day/Time) - Comments: "No Accessible Perm." 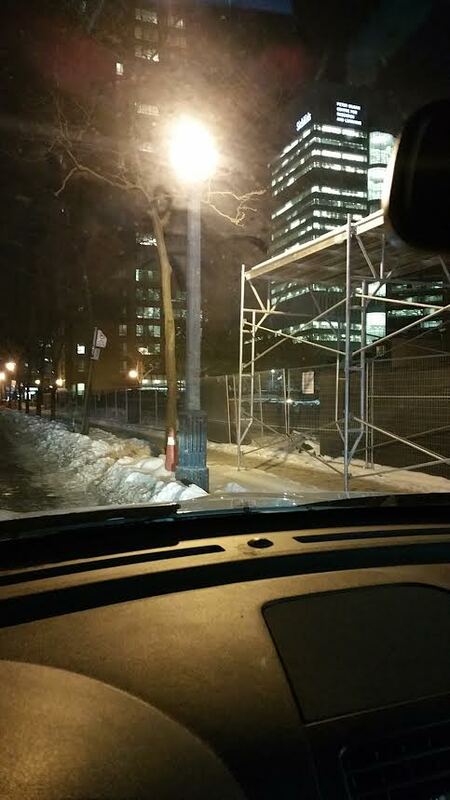 I parked at 10 Edward Street in Toronto tonight around 8:55. I got a Toronto P.I.N. at 9:07 for parking at 20 Edward street. There was no 'no parking sign' anywhere that I parked and there were cars behind me. Several meters in front it said that there is a " no parking " sign and that's close to 20 Edward. I'd say maybe 10-20 meters or so in front of where I parked. I have a dash cam which recorded everything. Is there anything I can do to get this cancelled? I don't have time to go to court. What can I do? Re: Parking ticket for no reason? bmz wrote: There was no 'no parking sign' anywhere that I parked and there were cars behind me. There's a no parking sign in front of you and also behind you which you passed which indicated no parking ahead. There's also a zone dedicated to couriers behind you. 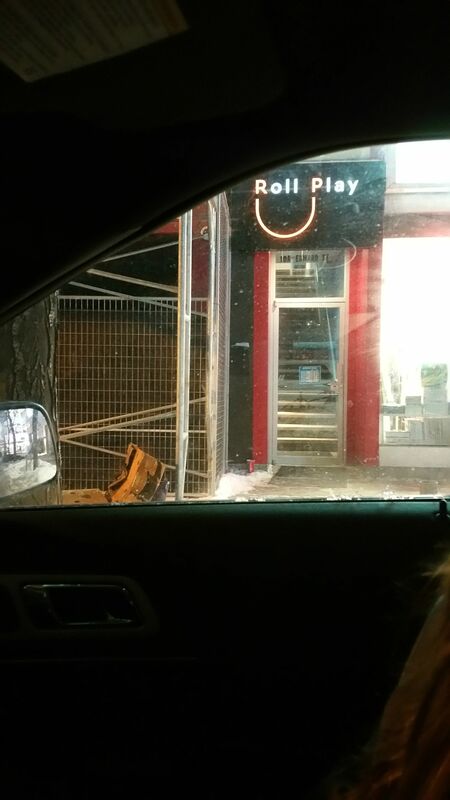 The sign doesn't need to hover over your vehicle. You'd have to look up the bylaws, but I believe these signs can be somewhere around 30 metres apart (don't quote me on that exact number). Pretty straight forward parking ticket. It's a parking ticket. You'd be better off if you cut your losses. It certainly does look like a no parking sign directly in front of your car, even in your own photos. I'm guessing the other vehicles on the street had accessible (handicap) parking permits which would exempt them. If you use Google Streetview you can see almost all the cars parked along the street have the permits in their window. anyone care to point out /circle/arrow where they are?